If you're looking for professional air conditioning installation service, with affordable prices, look no further than SWAN Plumbing, Heating & Air of Denver. We know having a new air conditioner installed in your home is a big decision, and finding a reliable air conditioning company in Denver isn't always the easiest task, which is why we strive to make the process as transparent and hassle-free as possible! Why Trust SWAN With Your AC Install? No Hourly Billing & No Fine Print. Or, click here to schedule your air conditioning installation service online. We offer and install all the best air conditioning brands of 2016 and our local and reliable air conditioning installation experts will go over with you which air conditioning brand and model would best meet your needs based on the exact specifications of your Denver, CO home. Of all the purchases you make to upgrade your home, a new cooling system may be the most complicated from system selection to the air conditioning installation itself. By their nature, cooling systems are complex, and like any mechanical system with moving parts, its performance depends on a quality installation. Because cooling systems rank at or near the top as the most energy-hungry appliances used in homes, best practices exist for their selection and installation to save energy and prolong system life. 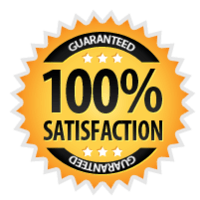 The HVAC company you select for the air conditioner installation has a measurable impact on your overall satisfaction with the system you choose. Unlike other major home appliances, HVAC equipment has to be precisely sized for your home and meticulously installed. An A+ Better Business Bureau (BBB) rating. Each of these criteria indicates that the company's history and performance exceed industry standards. NATE, in particular, puts HVAC applicants through a rigorous testing process and only certifies the most competent and knowledgeable. NATE requires ongoing education and testing to keep their certification active. Companies like SWAN Plumbing, Heating & Air of Denver that have each of these credentials are far more likely to deliver a high quality system and installation. Our rating with the BBB is A+ and it's also a preferred contractor for Excel Energy. Its technicians are NATE-certified and it's an EPA and Energy Star approved contractor. When you've decided the time is right to have a new air conditioning unit installed, and need a reliable HVAC company you can trust to get the job done right, give SWAN Plumbing, Heating & Air of Denver a call! Careful sizing of your new air conditioner sets the stage for optimal energy efficiency and durability. Over-sized systems run in short cycles and those that are too small run for periods longer than the manufacturer recommends. A system that runs in brief cycles won't remove as much humidity and doesn't distribute the conditioned air as thoroughly, leaving rooms further from the air handler uncomfortably warm. An A/C that's too large starts and stops frequently and tends to have more breakdowns. Cooling systems use much more electricity when they first start, which increases the wear and tear on the parts, along with raising energy usage. When the equipment is too small, it may not turn off during exceptionally hot weather and may overheat that harms the system's components. Rooms with a western exposure or sit on the second floor may be chronically warm.